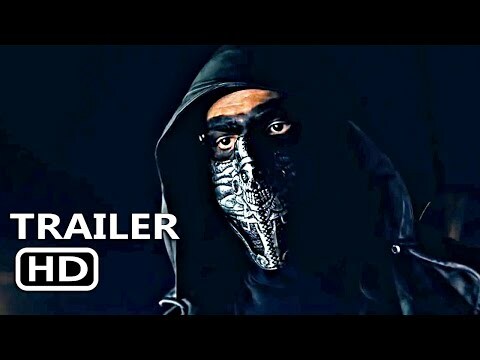 Olive Productions and Tangerine Entertainment Presents the Los Angeles Film Festival World Premiere Screening of "PAINT IT BLACK" on June 3 at 7:30 p.m. at LACMA's BING THEATER. Amber Tamblyn makes her directorial debut with "PAINT IT BLACK," based on the novel by Janet Fitch. 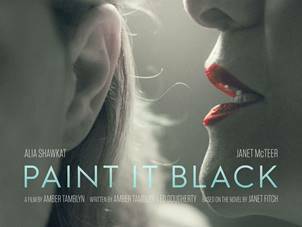 "PAINT IT BLACK" tells the story of two women from different worlds who, after losing the man they both loved, are joined in shock and grief when they are drawn into a twisted relationship that reflects equal parts distrust and blind need. The LA Film Festival is a key part of the exhibition arm of Film Independent, showcasing new American and international cinema that embraces diversity, innovation and unique perspectives. The Festival produces one-of-a-kind events featuring critically acclaimed filmmakers, industry professionals and award-winning talent from Los Angeles and around the world. The Festival’s signature programs include the Filmmaker Retreat, Celebrating Women Filmmakers, Master Classes, Spirit of Independence Award, Coffee Talks, LA Muse and more. The Festival also screens short films created by high school students. Presenting Media Sponsor is the Los Angeles Times. Premier Sponsor is Peroni Nastro Azzurro and Principal Sponsor is Jaeger-LeCoultre. Platinum Sponsors are American Airlines, Dolby Laboratories, Inc., EFILM | Company 3 and HBO. The University Sponsor is Loyola Marymount University School of Film and Television. WireImage is the Official Photography Agency. More information can be found at lafilmfestival.com. This is an outstanding venue, with great and thoughtful staff, and a fantastic chef. The location is well situated. We has been delighted to host our annual event at Los Angeles venues for the past few years, and the space has been perfect for our group of roughly 300.